I loved this cube the moment I got it. It is so light, it only weighs 73 ounces! The Gans is super fast and very agile, and turning is a breeze. You don't even need to try. Can corner-cut around 45 degrees, and can reverse corner-cut around 30 degrees. Never locks, ever. I have owned it for months and it has never popped or corner twisted. Overall it is the perfect cube for me, and is WAY better than my old Rubik's brand. Great job, Gans! The Gans Air when I first got it, it surprised me because of how light it is, with its light weight and fast turning, it overshoots for me and it was very uncontrollable at first because of my hard aggressive turning, but after broking it in, and applying some thick lube in it, it became perfect for my turning style. 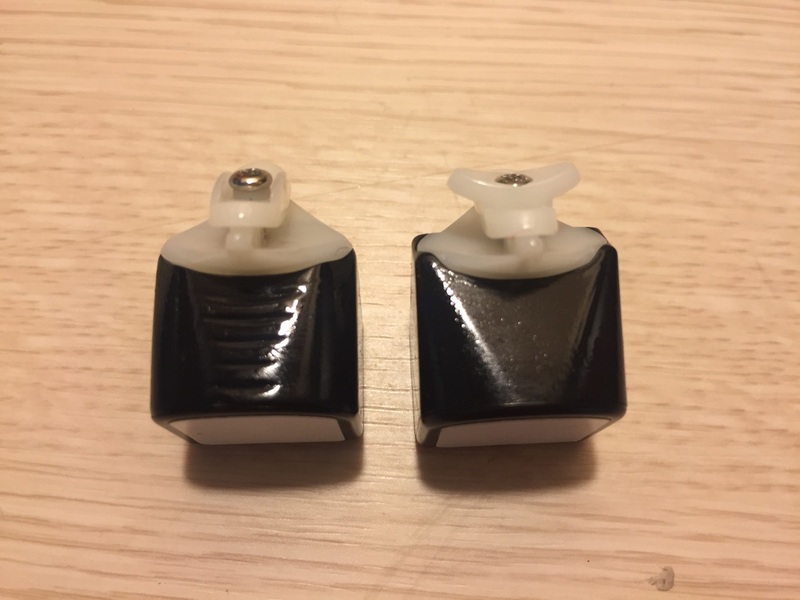 I also love the customizability of the cube, trying different springs for the cube, it really give a different feel, and you wouldn't even know if its still the same cube. Although its a very pricey cube, but I say its worth it (at least for me). A very fast, very smooth cube, great coner-cutting, but you do get a little bit of catching, but this only occurs to me when i get to a specific angle, but most of the time it still cuts, and you can almost eliminate this if you try softer springs with looser tensions. Overall great cube, and I use this as my main and also great for OH.. I think the Gans air is really good. I have had it for about 6 weeks, and it was instant main out of the box. The turning is really satisfying. It feels pretty clacky, but hollow. Like a traditional 356, but for lighter turning styles. Of course, you can change that with heavy lube and other GES springs. The locking was the only problem for me at first. 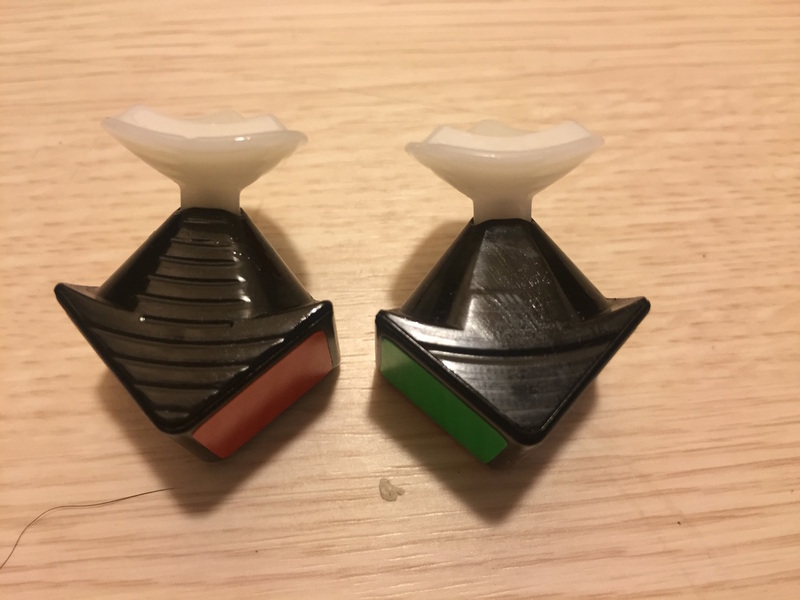 With great corner cutting and good stability, it still does the "Gans catch", where the corner would get stuck on the center piece. However, if you loosen the corner screw (Guide on doing it can be found at CubingWithMeki's video: how to set up a gans cube.) all the catching almost disappear. But is it worth it for 26 dollar? For a starter, probably not. It's too fast and hard to set up. 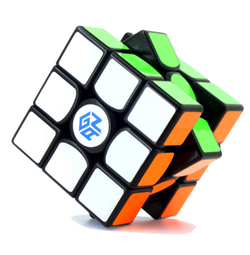 But if you win it in a giveaway, ( ͡° ͜ʖ ͡°) or you are a gans fan or looking for something new and cool, yes, it's pretty good. Out of the box it felt amazing. It is very light (as the name implies) and easy to turn. I experimented with the S-series nuts and stayed with the stock transparent ones. 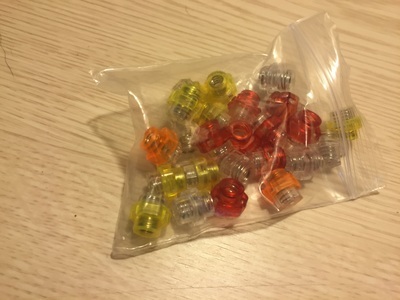 A couple weeks later I switched to the yellow nuts for more speed. I put lots of Traxxas 10k on the internals, and with breaking it in, it is very fast and smooth. With more pressure and friction on the pieces it becomes slightly crunchy, making M-slices very satisfying. There were some lockups in the beginning, but with lube it is basically gone. Popping and corner twists are nonexistent, with the squared off corners and internal design. To remove pieces you have to remove the centers. Basically everything about the cube is is amazing, making it one of the top cubes in the market in my opinion. With my custom full-fitted stickers, this is will probably be my main for a long time. This cube is great, it is the smoothest cube that I have ever tried, even without lube, it is very fast, the corner cutting is very good. line to line reverse with no effort. 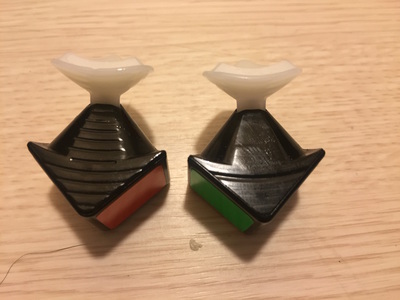 The locking depends on the tensions and what springs you have inside it, if you put a tighter spring in you will have no locking, but sacrifice speed, I personally prefer the green ones as they make the cube very fast and not too unstable. Corner twists never happen and popping never happens as It is almost impossible to take an edge piece out without unscrewing the centers! Overall an amazing cube with unlimited combustibility to suit literally anyone, and definitely my new main!